Manchester United boss Louis van Gaal has dismissed criticism by former player Paul Scholes of his team's style of play, saying "sticks and stones will break my bones, names won't hurt me". Ex-midfielder Scholes, who played 718 games for United, said he "would not enjoy" playing for Van Gaal and there was "a lack of creativity and risk". He made the remarks following United's exit from the League Cup on Wednesday. Van Gaal told the media Scholes did not "have the responsibility" to comment. "Is he saying this for the benefit of the club or benefit of himself?" he asked. United have failed to score in their past two games and have the lowest goals return in the Premier League's top six. However, Van Gaal feels Scholes' criticism of his tactics is unwarranted. "I don't agree with his opinion," he said. "I always take risks. Manchester United is always entertaining." Scholes, a member of United's famed 'Class of 92', praised their current defence as having been "coached brilliantly" but said any striker would struggle to score in Van Gaal's side. But the Dutchman believes Scholes' tactical assessment would be better delivered privately to coaching staff, which includes long-time former team-mate Ryan Giggs. "I cannot defend myself. 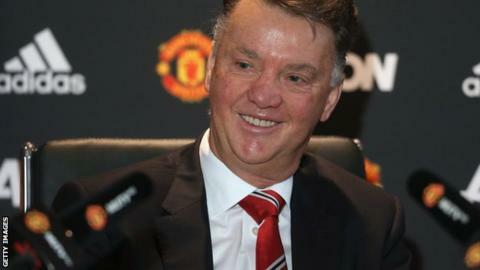 He is a legend," said Van Gaal. "But when you are a legend, you have to speak with the manager, or his friend Ryan Giggs, or [executive vice-chairman] Ed Woodward and say things like this. "We are improving a lot but it takes three years. "But when Mr Scholes says I have to go, then I must go. But that is not his responsibility, it is that of [Manchester United owners] the Glazers and Mr Woodward. "When we lose and lose and lose I shall be finished. I know that. But we are improving. We now have 20 points from 10 games. Last year it was 13." United have confirmed striker Memphis Depay will miss Saturday's trip to Crystal Palace, although they have not said what injury he is suffering.